Scroll to DISPLAYS with Light Lock and press Next. Scroll to Stopwatch with Light Lock and press Next. You can now start to use the stopwatch or press Next to go back to the Time display. 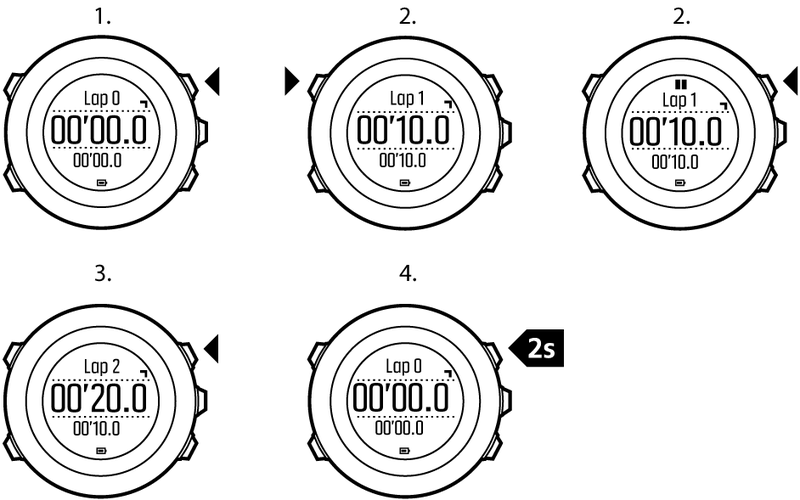 To get back to the stopwatch, press Next to scroll through the displays until you see the stopwatch. Scroll to End stopwatch with Light Lock and press Next.